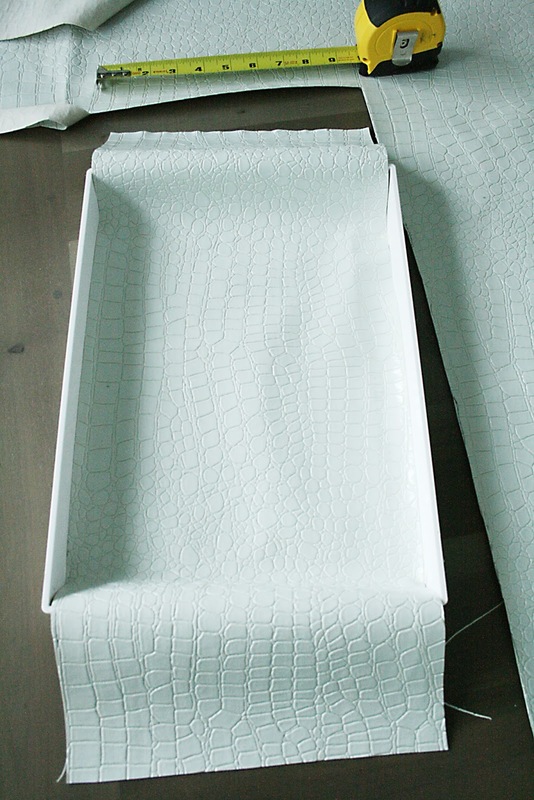 DIY Fabric Covered tray: I’ve been wanting to do a DIY fabric covered tray for so long using a faux white crocodile fabric that I bought quite some time ago. But I kept coming across problems with 4 different glues I was using to keep the heavy fabric from peeling away from the tray. DIY failed. So it sat for a while a mess and I looked at it everyday wondering if I should tackle again or just be gone with it. Tackle it, I did! 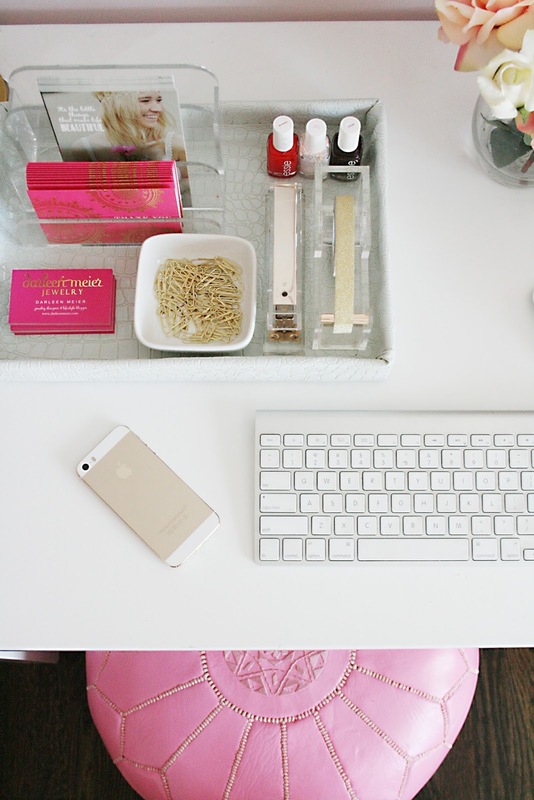 This DIY is simple to complete but you have to get the right glue. That is the key. 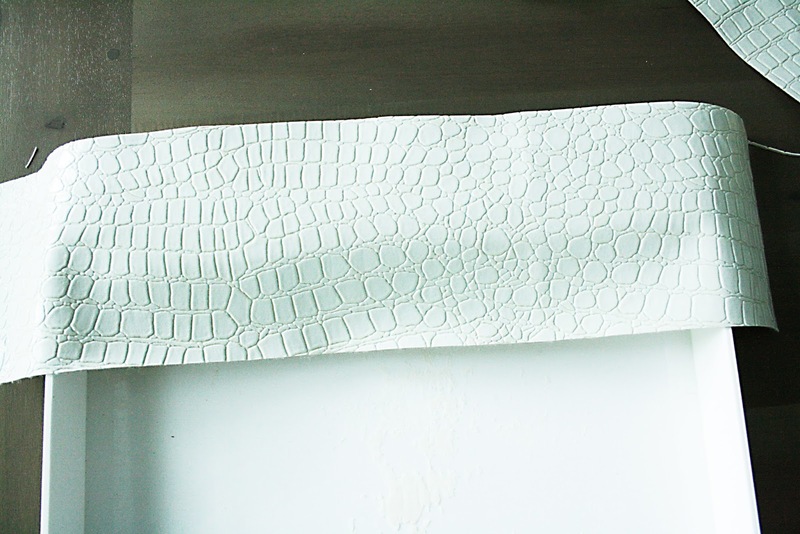 This adhesive is so good, it might even hold down leather (another project in the waiting). 1. Lay out your fabric. 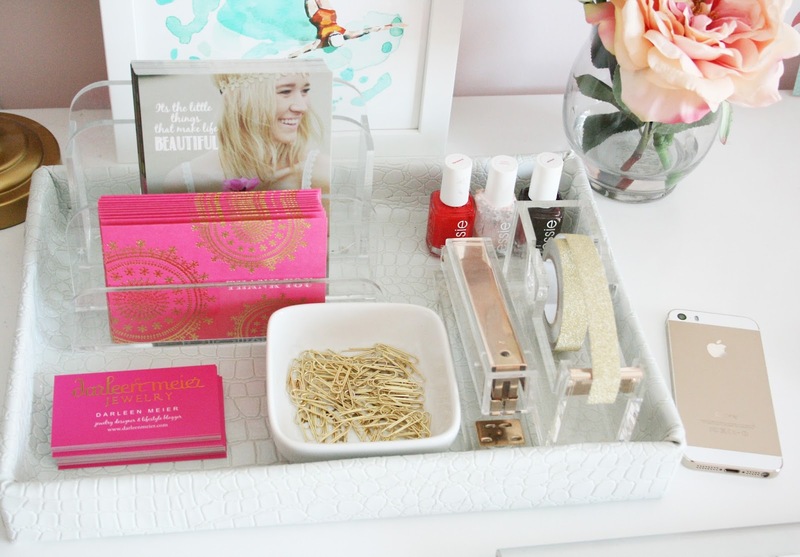 Place the tray on top and measure the width of the tray and mark. Try to get the width exact. 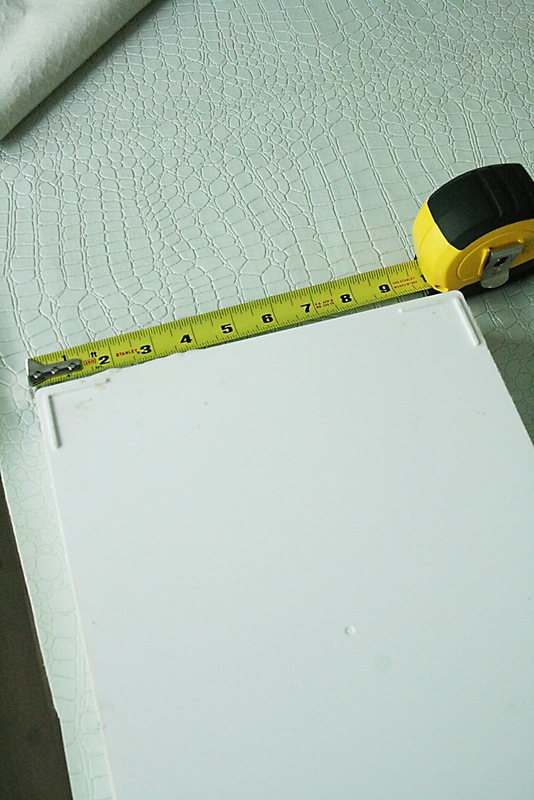 Then measure the length of the tray and add additional fabric to cover the side tray. Then add 1/2″ to the fabric length so you have extra fabric to go under the tray. Cut out. 2. You will have a long strip of fabric that will fit your width but longer on the length. If you’d like to be more precise, take an exacto knife cut off any extra fabric on your width sides. 3. Place the long strip of fabric to the side. Cut out another fabric that is long enough for the length of the tray, but the width should just be wide enough to cover the inside and outside sides of the tray. 4. Make sure you read the directions on the glue. There is some wait time between application. The glue sticks better if you let it dry to tacky. Don’t forget to spray the project outside. 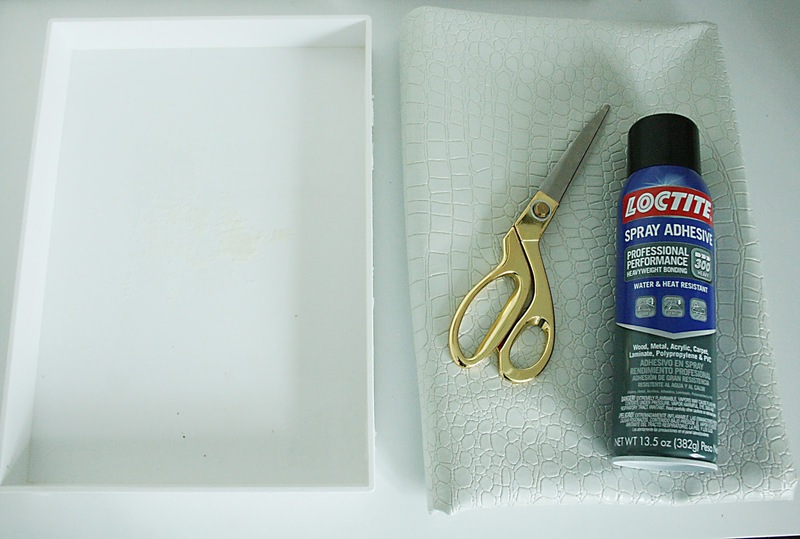 Take the adhesive and spray the outside side of the tray and the fabric side that will be glued down to the tray. Let it sit for a few minutes until it gets tacky. Press down the fabric to the tray. Hold for a few more minutes. Repeat on the inside side of the tray. 5. 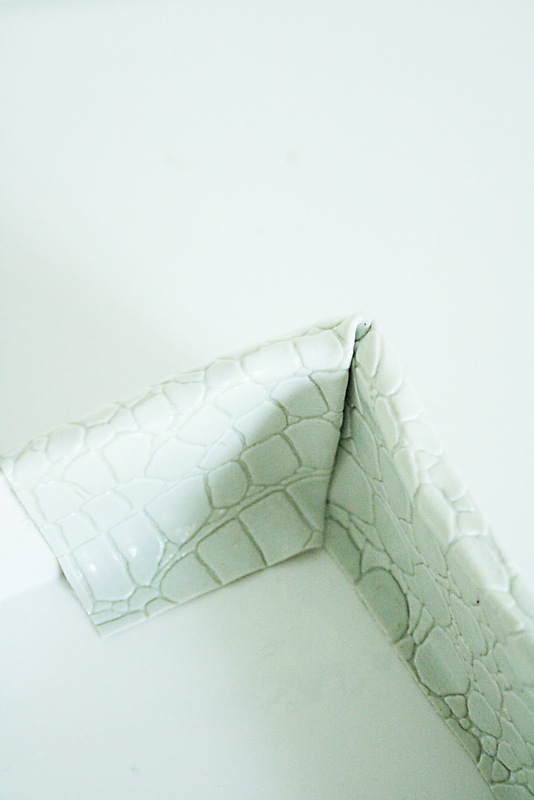 Gluing the corner: okay there are so many ways you can fold fabric over a corner. I probably didn’t do the best way. So pick what you are used to (think folding the sheets over your bed corner). You might have to cut excess fabric. Glue the corner down. 6. 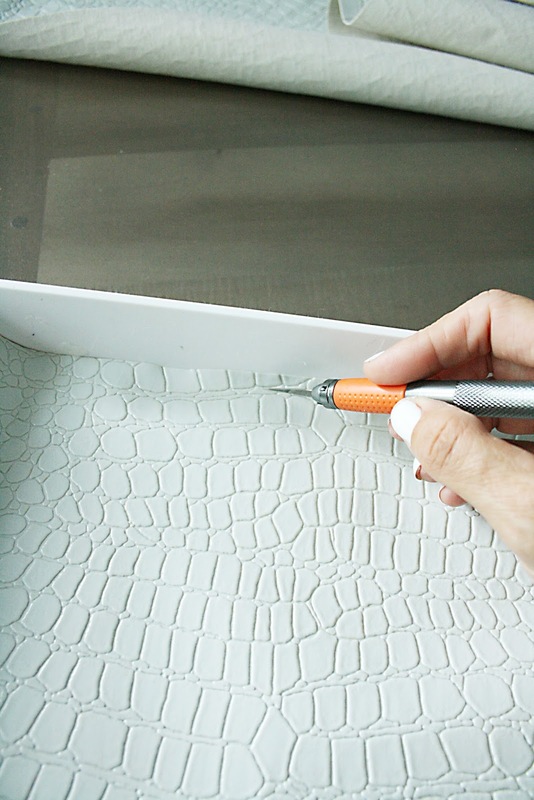 After you are done gluing down all four corners and two of the sides, take the long strip of fabric that you placed to the side and place it over the inside of the tray. 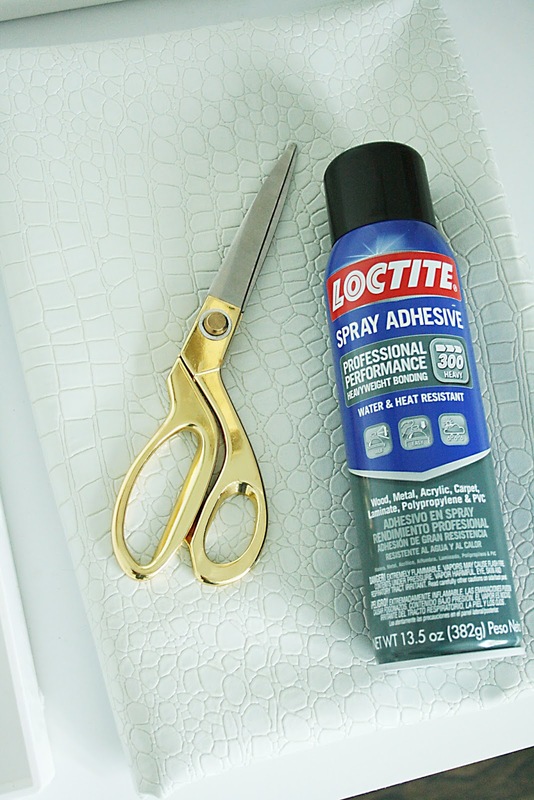 You may want to spray your adhesive first (fabric and tray), then lay it down. Press. Hold. Wait. And finish off gluing down the short-side of the tray. Let the glue completely dry then use and enjoy! 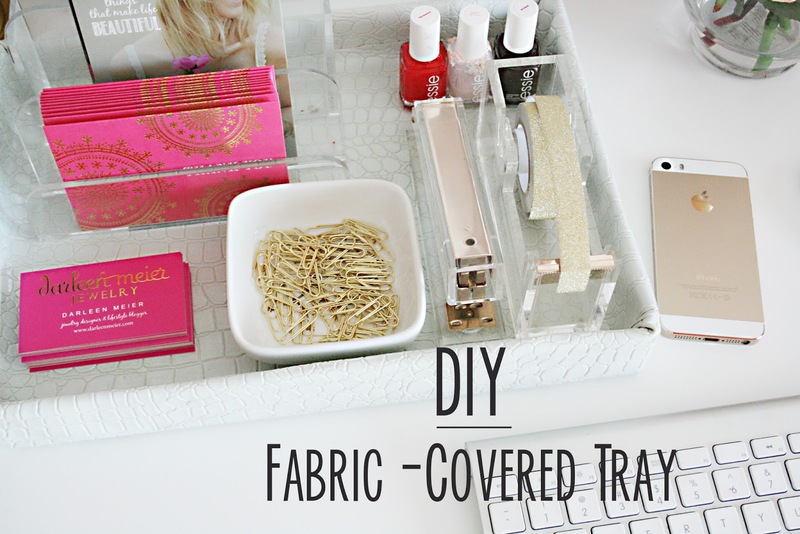 This diy fabric covered tray is looks like an expensive tray you’d buy in the stores.